It’s seven o’clock on a Saturday evening. As I wait for a table at The Point Crab House and Grill, I notice a startling number of people ordering Bloody Marys. But they aren’t college kids who don’t know any better, they are adults. In just three years, The Point has made its mark on the regional restaurant scene. 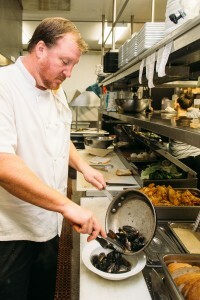 Each day, hundreds of people head to Arnold for chef Bobby Jones’ creative take on Maryland food. The restaurant has received nods from Washingtonian, the Washington Post, Travel and Leisure, and even Cigar Aficionado. It has won numerous awards, including a bevy of 2015 Reader’s Choice Awards from the Capital Gazette. When I return to The Point to interview Jones, it’s Labor Day weekend, which marks the restaurant’s anniversary. I ask him what stands out over the past three years. 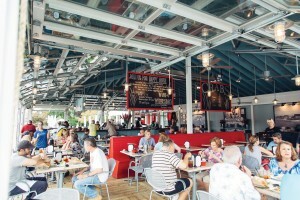 The quality of the food and Jones’ attention to detail are reasons for The Point’s acclaim. Nearly everything is made in-house, from the brioche rolls to the crab seasoning (hotter, sweeter, and less salty than Old Bay, according to Jones). In addition, Jones is committed to responsibly sourcing his food; almost all of the produce and seafood are from local sources, and the meats are organic, non-GMO, and hormone free. 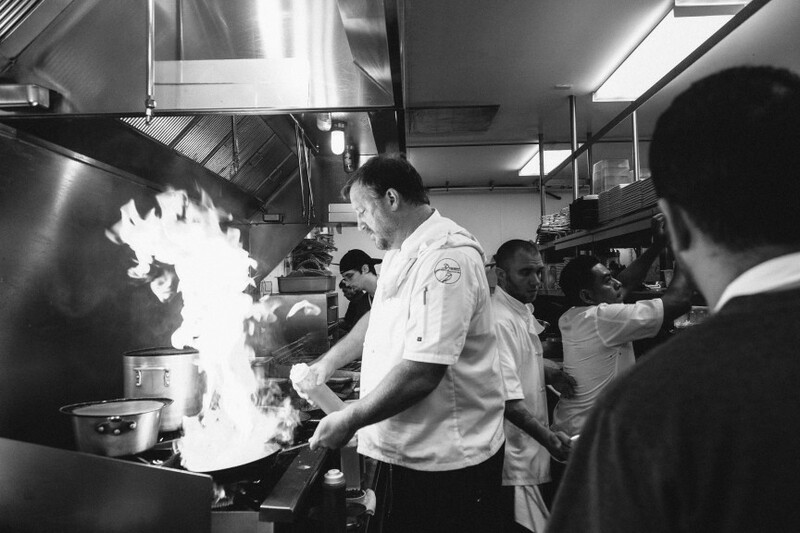 Despite the restaurant’s success, Jones didn’t initially set out to become a chef. An art major, he worked long hours at area restaurants to put himself through college, sometimes 60 hours a week on top of a full course load. He held nearly every position in the business, from dishwasher to manager. After college, with interests ranging from computer graphics to music, Jones was less concerned about the medium in which he worked than finding a career that would give him the freedom to be creative. “I love creating and making stuff, whether it’s music or anything,” he says. “When its good, [art] has certain characteristics. For me, typically, it’s a series of balanced contrasts. There’s more than one sour-and-sweet, more than one soft-and-crunchy . . .,” he explains. Ultimately, Jones committed to the business that he knew well and became a chef. Family is important to Jones. He runs The Point with his wife, Julie, and speaks warmly of his children, Jack, Patrick, and Erin Kelly (“my girl,” he says affectionately), as well as his mother and grandmother, who helped to teach him how to cook. It was a family-based request that led to his friendship with Foo Fighter Dave Grohl. After visiting The Point on the way to the Eastern Shore, Grohl approached Jones for a favor. “He called me out of nowhere and asked for some help to get his mother some crabs,” Jones recalls. Grohl’s mother’s birthday was approaching, and she had missed the family vacation to Maryland because she had been ill. “They live on the West Coast, they can’t get [crabs] there,” he explains. The two became fast friends. As Jones looks ahead, he and his business partner, Michael Neall, are preparing to launch a new venture: Public 22. Located in Crofton, the new restaurant will retain The Point’s casual feel, but will have a more ambitious menu. He hopes to use the green space beside the restaurant to host events ranging from concerts to small festivals. They’re hoping for a fall 2016 opening. Error: Error validating access token: Session has expired on Saturday, 09-Mar-19 15:57:50 PST. The current time is Tuesday, 23-Apr-19 08:54:42 PDT.